Whether it’s a day out with friends or some essential self care, Wreck Room is the perfect gift. 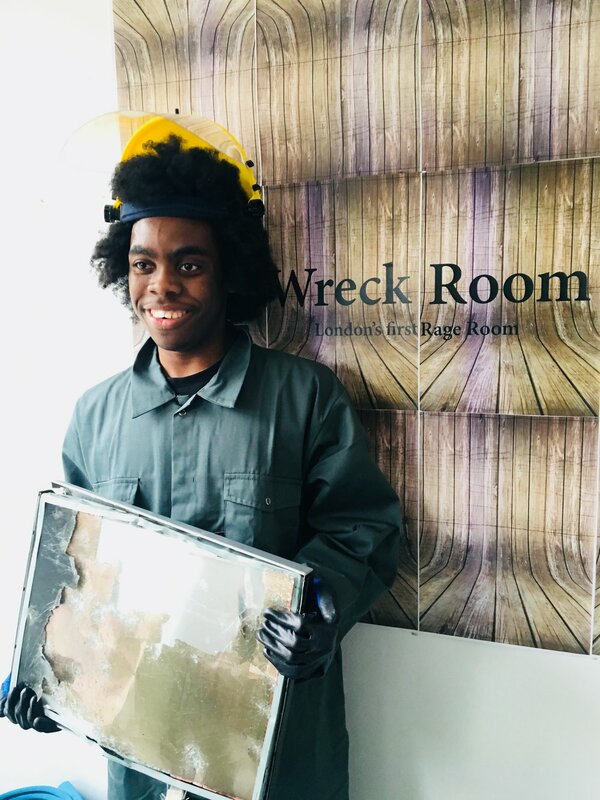 Wreck Room,London's first Rage Room. Ever want to just smash stuff? Well now you can, and guess what? It is A LOT of fun! It’s all very simple.Sessions start at 10 minutes each per person, you choose a weapon from our selection, pick a couple of songs and get to smashing. We provide safety gear but please come wearing appropriate clothing, closed sturdy shoes, long sleeves and trousers. We welcome groups but please note that you can't have a go with your friend, everyone takes their turn on their own. For larger groups or bespoke bookings, drop us a line with the group booking form and we will be in touch. Sign up below to keep up to date with all Wreck Room news and find out about our next dates! How did you hear about Wreck Room? Let us know below if you are happy to hear from us. I am happy to be contacted by Wreck Room about upcoming sessions and special offers.